The Sacrament of Matrimony is celebrated by a priest, a bishop, or a deacon. 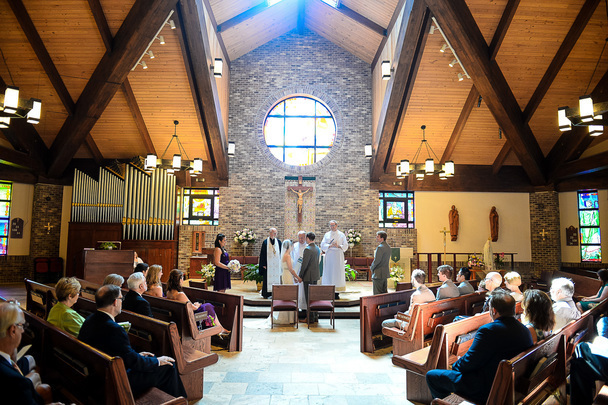 Engaged couples should contact the parish office at least six months in advance of their wedding date. Attending the marriage preparation program and meeting with the priest or deacon who will be witnessing your marriage is part of the process.